So for the last two weeks I have been replacing 1 meal a day with a green smoothie. I have found that starting my day off with smoothies is best. The loaded fruits and kale/spinach really give me a healthier boost than coffee. I have been throwing everything into my living well blender. I really like adding my ACV, ground cinnamon, agave nectar, and flax seed to the mix. This morning I added pomegranate. Do you know what your eating ? The pomegranate, botanical name Punica granatum, is a fruit-bearing deciduous shrub or small tree growing between 5–8 meters (16–26 ft) tall. 1. Cut the crown (protruding blossom end) off the pomegranate, removing with it some of the pale-yellow pith. 2. Take care not to pierce the seeds within. 3. Lightly score the skin in quarters from stem to crown end. 4. Discard skin and membranes. Drain the seeds and dry on paper towels. Do you blend the entire seeds in your smoothies? The seeds are edible? Yes you are only suppose to take the seeds out and add to your drink. You don’t use rest of the fruit. 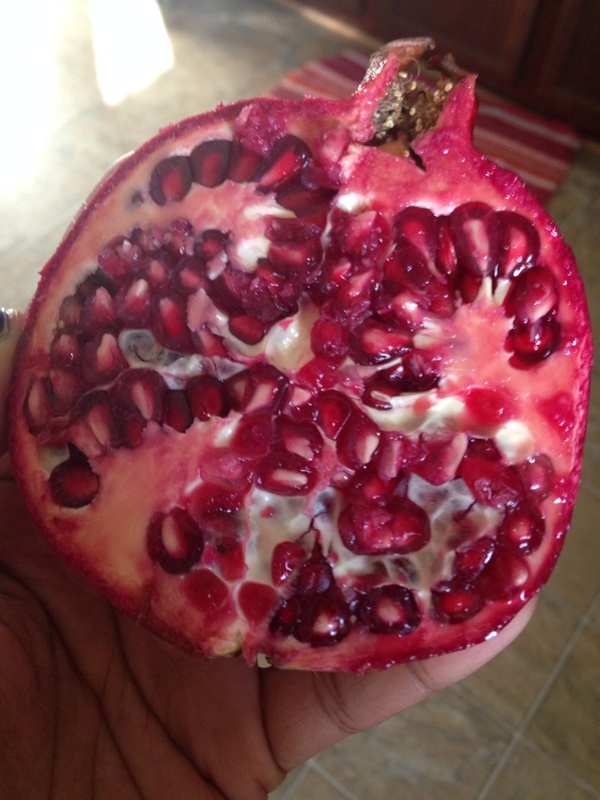 It’s only seeds inside that are coated with the fruit.